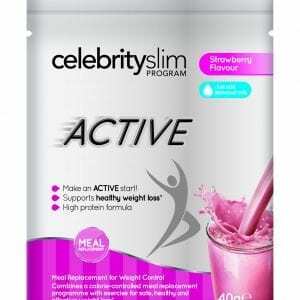 Kick-start your diet with Celebrity Slim ACTIVE meal replacement shakes in this handy sachet format! Kick-start your diet with Celebrity Slim ACTIVE meal replacement shakes in this handy sachet format! 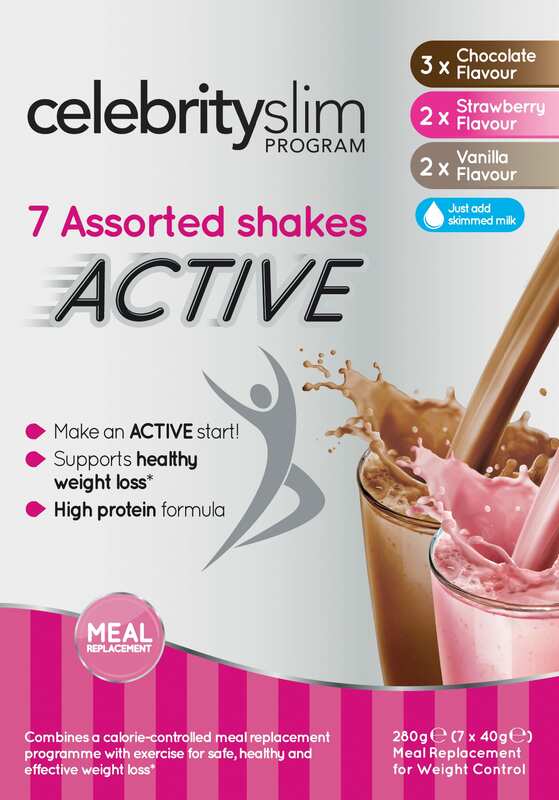 Celebrity Slim Active is designed to be mixed with skimmed milk for a delicious, nutritional, meal replacement shake. High in protein, it can be used on the Celebrity Slim ACTIVE phase to kick-start your diet. Simply consume 3 shakes and a healthy, balanced meal each day, and add 20-30 minutes moderate exercise. ACTIVE shakes can also be used on the classic TRIM Phase. Directions: Add 200ml of cold skimmed milk into a Celebrity Slim shaker. Add the contents of the sachet and shake vigorously for 30 seconds. It is important to maintain an adequate daily fluid intake when using this product. It is important to follow these directions. Allergens listed in Bold. May contain traces of eggs and nuts.